I did post a cauliflower pizza crust a little over a year ago, but it had LOTS of cheese in it which tasted fantastic… but not really on our diets these days! the middle two kiddos can’t have any dairy, Tonchi can only have raw dairy and Brian and I can have limited raw dairy! Quite a list to remember… and poor baby Xanthie doesn’t stand a chance. Of course only 6 weeks into her life we aren’t sure if she has any allergies, but we will find out soon enough I’m sure! 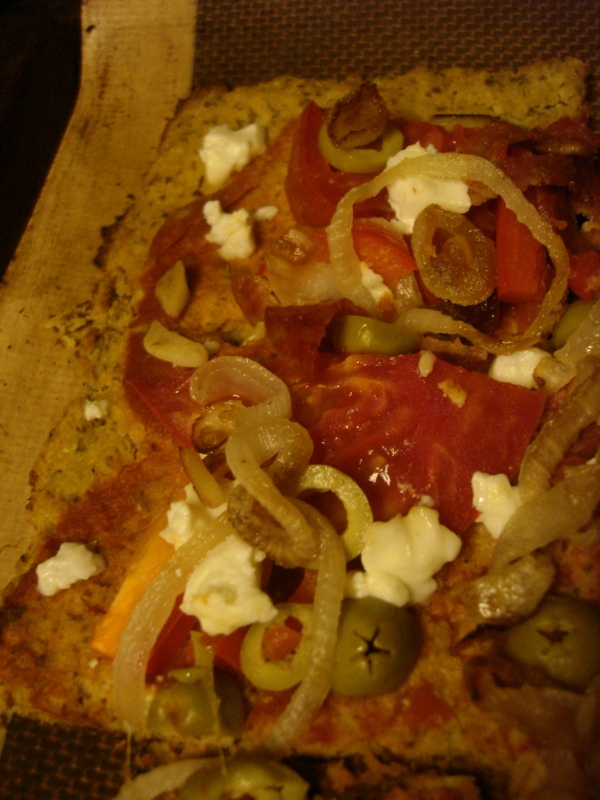 So… I wanted to find a truly paleo cauliflower crust and there were pros and cons to all of the options I found online… so I took about 6 or 7 different recipes and came up with my own! It turned out super fantastic and oh so delicious! We also had quite a large head of cauliflower and a lot of veggies from our CSA. I knew I needed to use them up soon, but have been working really hard on trying to make dishes that are veggie heavy, taste good (kinda goes without saying!) and fit our diets! It’s a tall order, but right up my alley! All I need is a challenge! Chop/pulse cauliflower in food processor until ‘riced’ – about the size of rice. Put riced cauliflower in ungreased wok (or large pan) and cook until soft. Since there is so much water in cauliflower it will steam without having to add water and will also help to dry it out so that the crust isn’t too moist. It is possible to cook it in the microwave as well, but since we don’t have one… I choose to do it on the stovetop. Remove from heat and use cheesecloth to help squeeze out any extra liquid. The more liquid you remove the crispier the crust. paper towels would also work if you don’t have a cheesecloth. 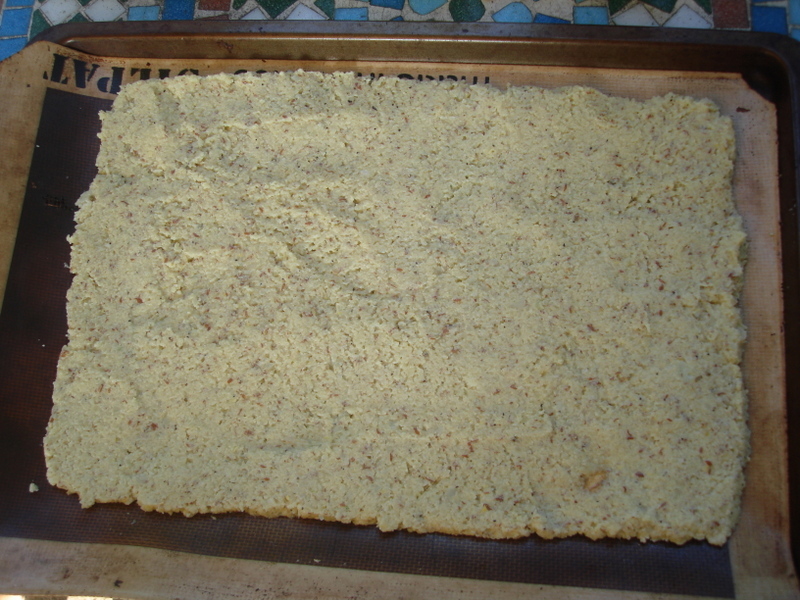 Pour/pat onto two cookie sheets lined with a silpat or parchment paper. Cook in oven at 400 degrees for 15 min. Remove from the oven and add desired toppings and return to the oven just long enough to heat – approx 10 more minutes. Can add 1½ cup of raw shredded cheese to the crust with an additional egg. Makes a larger crust and it’s even more yummy! Since all the kids can’t have dairy I opt not to do it this way, but it is pretty awesome with the cheese! I’d love some feedback! Let me know what you think!